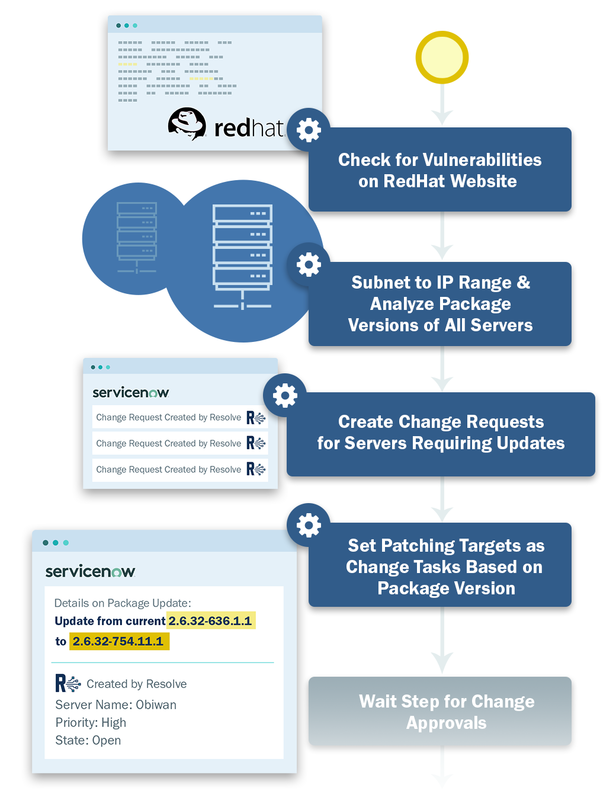 Automate incident investigation & response (not to mention patching & proactive updates). 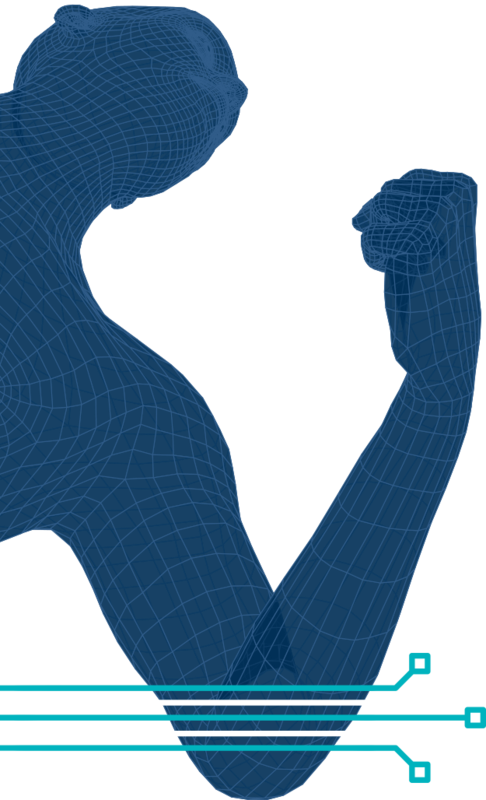 And more… our platform lets you customize and build new security automations to your heart’s content! Want to Separate the Signal from the Noise & Accelerate Triaging Real Threats? You Can with Automation. Overwhelmed by a sea of alerts generated by your SIEM (and not enough staff to investigate them), only to find that most are simply false positives? You’re not alone. Freaked out by the amount of time and manual effort it takes to manually collect all of the data from multiple systems and third-party tools required to validate and investigate threats? We get it. 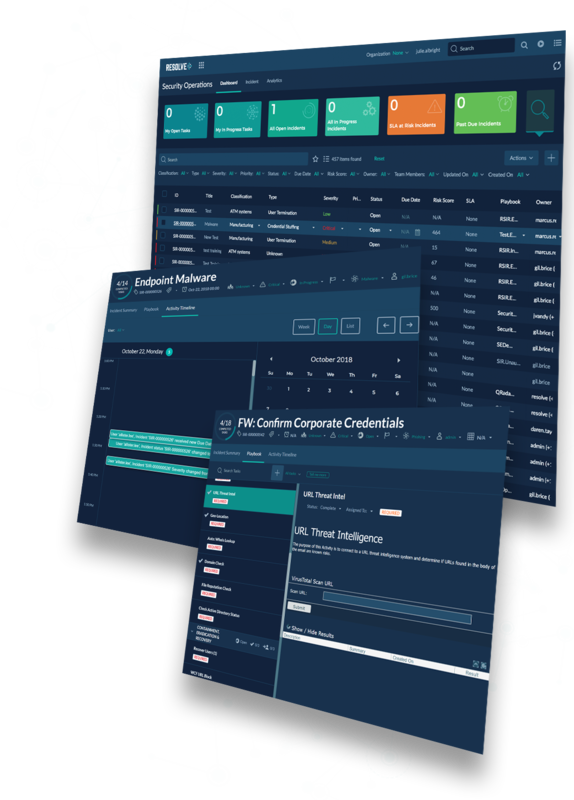 Tired of waiting on other teams to grant access to critical systems containing the event logs you need to properly investigate a threat? We’ve been there. Worried that your investigation is so time consuming, it’s too late to contain damage from real threats? We hear you. Dread documenting all of the investigation steps you took, from initial data collection to diagnosis? Yeah, us, too. Resolve makes it much easier to investigate security incidents. We designed our SOAR capabilities to enable you to keep pace with the speed of cyberattacks, while reducing rock fetching exercises and time-consuming handoffs between security team. 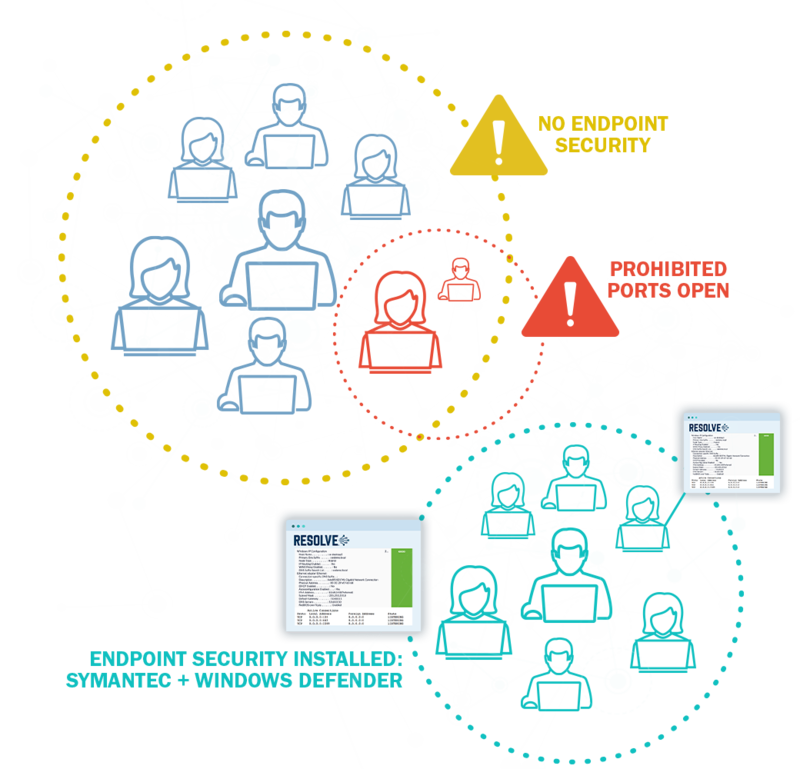 Massively Expedite Incident Investigation & Scale Your SOC with the Power of Automation. 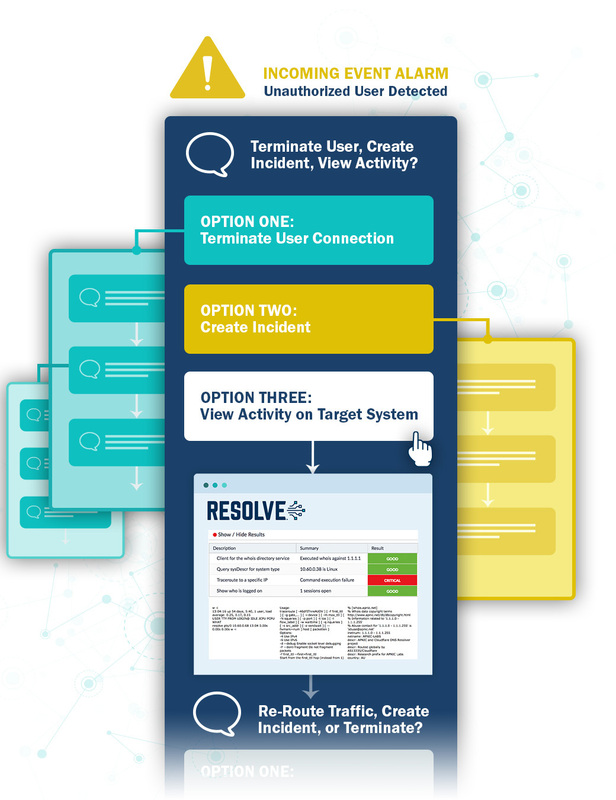 Ready to simplify incident investigation? Let Resolve do the work for you. Defeat Bad Actors with the Fastest Threat Containment & Remediation on the Planet. Wish you could press a button to safely contain the latest threat before it wreaks havoc on your infrastructure? We got you. Worried that automating containment workflows might shut down your business faster than an attack? We understand. Frustrated that you can’t automate more complex, decision-dependent remediation workflows, not just the easy stuff? We get it. Tired of begging for access permissions to quickly contain and remediate threats? Yup, we’ve been there. Worried about escalating every issue to your already overburdened SMEs while junior SOC analysts sit idle? Totally been there. Bothered by the lack of an audit trail? Us, too. We cut through the red tape so you can focus on security. Resolve scales SOC teams by packaging SME-approved automations along with contextual guidance to support complex, decision-dependent workflows so you can contain and remediate incidents quickly – whether they are in the cloud or on-premise. Accelerate Threat Containment & Reduce Escalations with Resolve. Ready to show the bad actors who’s boss? See how Resolve can help you shut down threats in seconds. Tired of finding new vulnerabilities every time an app or server gets updated? We know. Worried that open ports might be leaving you open to attack? Been there. Tired of manually checking your configs against the vulnerability database? You’re not alone. 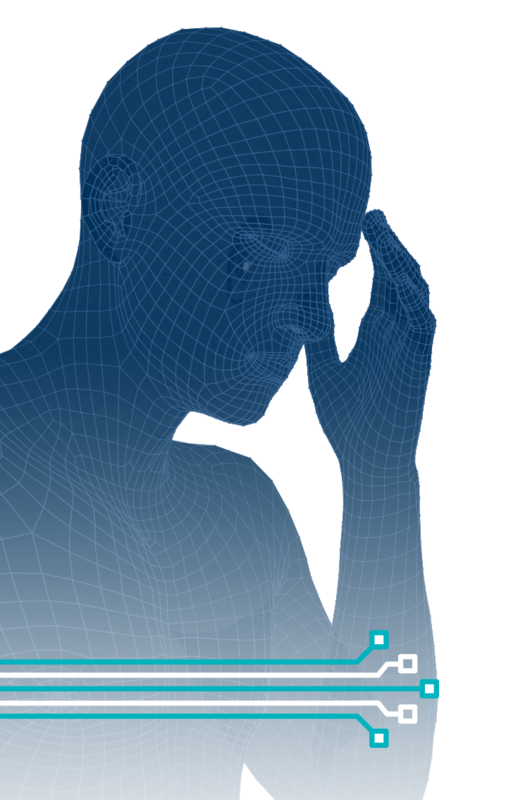 We eliminate common config headaches so you can be more secure. 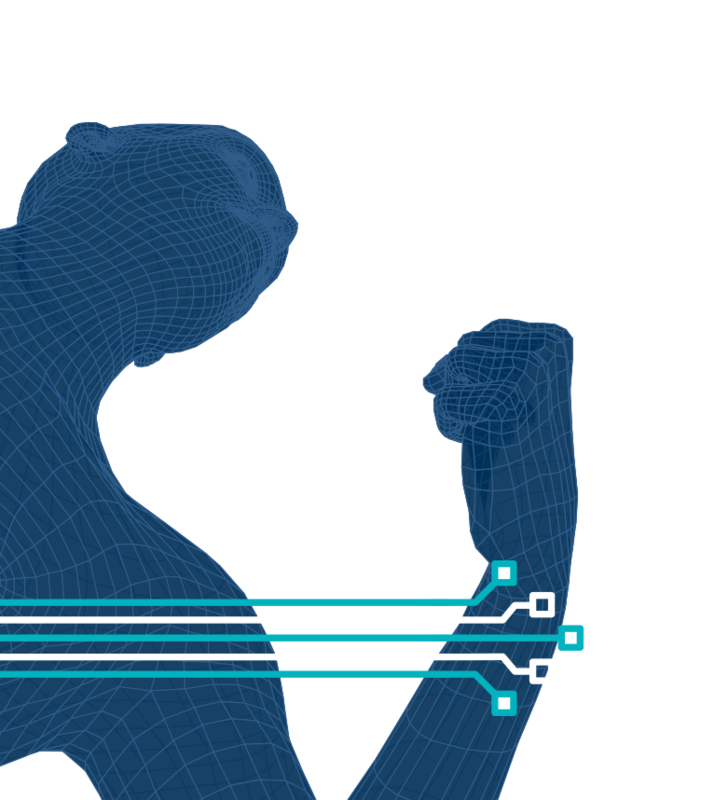 We help ensure you have a strong security posture across your hardware and software configurations with automation. Now you can automatically see where you have configurations that present vulnerability concerns and fix them before the bad actors find the chink in your armor. Automatically Identify Known Vulnerabilities in Your Hardware & Software Configs. Ready to improve your security posture and minimize the risk of a breach? Let Resolve automate it for you. Need a Faster, More Reliable Way to Validate & Manage Your Patches? Resolve to the Rescue. Do you struggle to reconcile disagreements between IT Ops and SecOps as to whether a patch was deployed or not? We’re with you. Do you find yourself wondering how on earth your small team can patch thousands of vulnerable servers quickly and confidently when each one requires manually logging into multiple systems? We get it. Worried that your overtaxed IT team might be skipping a few steps post-patching to test and verify everything is performing as expected? You’re not alone. Is the prospect of potential ruin and a massive security breach resulting from unpatched systems keeping you up at night? We’ve been in your shoes. We take the pain out of patch management. Massively accelerate the time to deploy patches (think minutes, not weeks) across complex infrastructure and eliminate manual errors. Go from Patching Purgatory to Patching Paradise with Resolve. Ready for 21st-century patching? Let Resolve reboot the way you patch with advanced automation. We're proud to count these awesome companies as our customers. How Much Will You Save With Resolve? 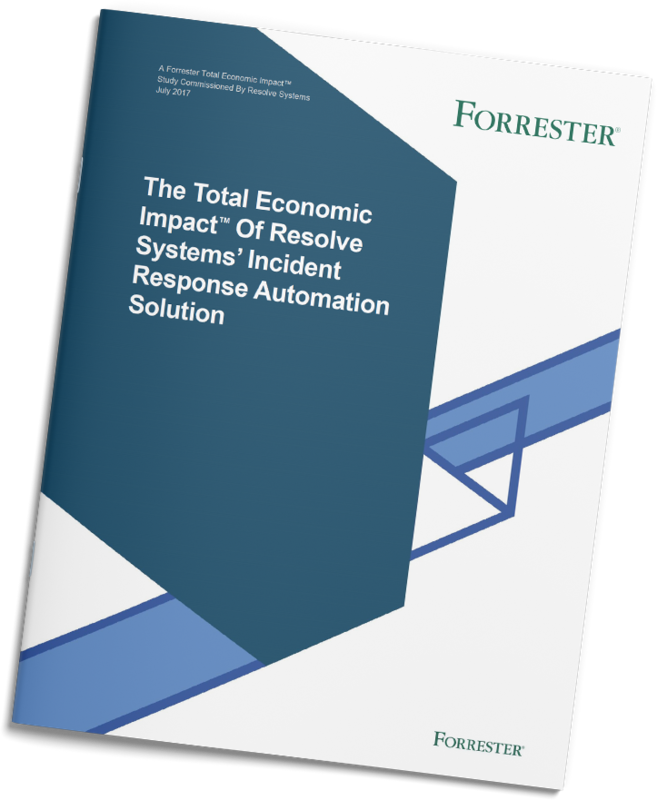 Forrester analyzed the potential ROI of deploying Resolve’s automation platform. Download the report to see how you can achieve a one-month payback period, shave MTTR from 1,889 minutes to a single minute, and save more than $7.7 million!